Originated and manufactured in South Africa, this problem-solution specialist skincare oil was launched in 1987 and has grown to become the global leader in this segment over the last 26 years. Globally, Bio-Oil has won more than 135 skincare awards, as well as becoming the No.1 selling scar and stretch mark product in 17 countries. Bio-Oil is the product most recommended by doctors for scars and stretch marks in New Zealand and South Africa. It is also the product most recommended by pharmacists for scars and stretch marks in the UK, Australia and South Africa. Many doctors and pharmacists around the world recommend Bio-Oil as their first choice for scars and stretch marks. Bio-Oil is also a great all-over scar healer, as well as helps even out your skin tone. If you are pregnant, or have recently had a baby, Bio-Oil is the product to prevent the formation and/or helps to improve the appearance of existing stretch marks. It is also suitable for use on the face and body. The product is suitable for sensitive skin, is hypo-allergenic and non-acnegenic (does not cause acne). Bio-Oil has a unique breakthrough ingredient PurCellin OilTM. PurCellin OilTM ensures that the active ingredients are rapidly absorbed into the skin, without leaving an oily residue. Bio-Oil is a formulation of vitamins A & E, natural plant oils – Lavender, Calendula, Rosemary and Chamomile. Bio-Oil is highly effective for numerous other skin concerns including ageing and dehydrated skin. Clinical trials and skin tests studies were conducted to provide important information on how well the product works. The best way to use Bio-Oil: Massage into the skin twice daily for a minimum of 3 months. Bio-Oil was launched in Singapore in September 2011. Based on Nielsen’s data, Bio-Oil is the No. 1 selling scar and stretch mark product in Singapore. Information above extracted from the press release. A German cosmetic scientist called Dieter Beier, discovered PurCellin Oil after studying the preen gland oil of ducks. A manufactured version of the oil was made, this reduced the thickness of the oil, making it easily absorbed into the skin. info. here. 1. PurCellin Oil™ provides the optimum storage environment for vitamins and natural herbal ingredients, ensuring they maintain their maximum efficacy prior to application. 2. PurCellin Oil™ creates a thin, non-greasy, protective layer over the skin which helps prevent skin dryness and guards against moisture loss, whilst still allowing the skin to breathe and maintain its normal physiology. 3. PurCellin Oil™ reduces the viscosity of Bio-Oil making it light and non-greasy. This ensures that the vitamins and natural herbal ingredients are fully absorbed by the skin and do not simply remain on the skin surface. It has a baby oil smell, much similar to Johnson & Johnson’s baby oil. It’s a scent I like, as it’s familiar and comforting. It’s no doubt greasy. I don’t know why it’s stated that there’s no oily residue. Yes it leaves no residue, but it is oily after application, so I would advise application just before bed time so you don’t feel like your hands are oily in the day. Or of course unless you don’t mind cleaning/washing your hands after use in the day. 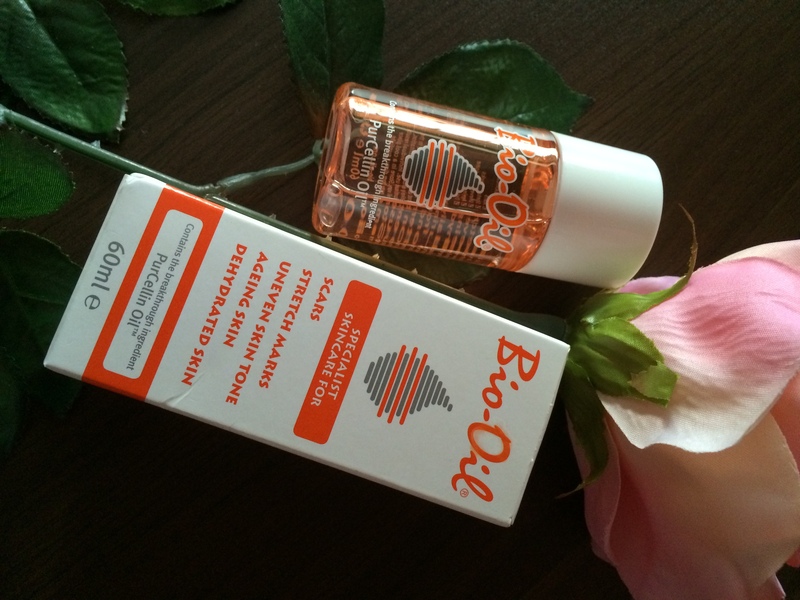 If you’re pregnant and looking to stop the itch from stretch marks then perhaps Bio-Oil is for you. Although I can’t say it works for sure as I did not use it for scar removal and/or stretch marks relief, I would recommend you to test the small bottle out, and if you like it, to then repurchase the big one if you like it. am trying on my face but during the day I can’t see well what might be the cause? Hi Elizabeth, perhaps you want to avoid applying the oil near your eye area? Do consult a doctor if your eye condition gets serious.